Heat the oil in a skillet and sauté the onions for 5 to 7 minutes until browned and translucent. Remove and set aside. Prepare the sandwiches by spreading an equal amount of mustard on 4 slices of bread. 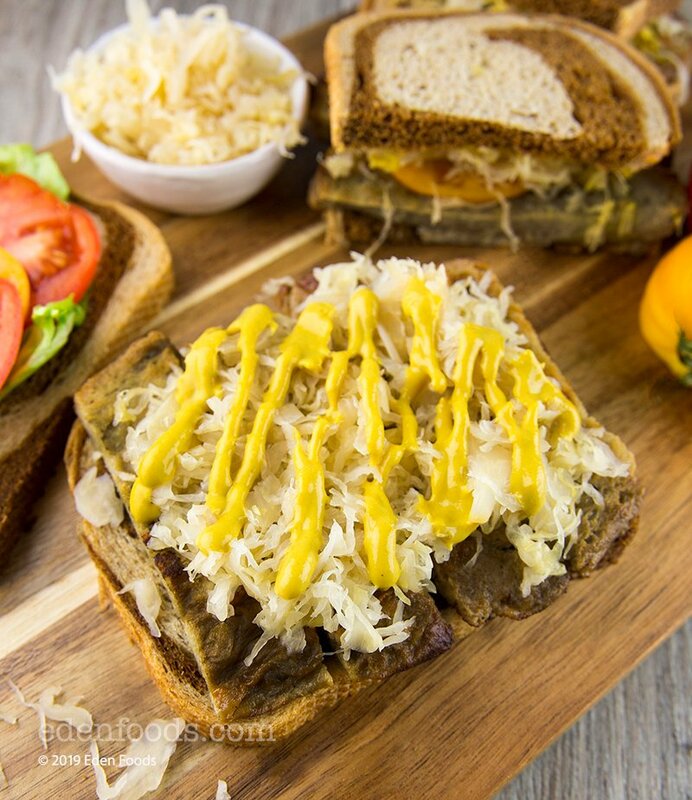 Then arrange equal amounts of sliced seitan, sauerkraut, onions, tomato and lettuce on the slices. Place the top slices of bread on the sandwiches. Slice in half and serve. The slices of seitan can be pan fried in Eden Extra Virgin Olive Oil, Organic Safflower, Toasted Sesame, Organic Sesame Oil for a richer flavor.